From SaaS to fully hosted applications and data, cloud computing is changing the application landscape. While it may add new efficiencies and provide an opportunity to lower costs, it can also increase complexity, particularly when it comes to app delivery. Industry analyst Jim Metzler of Ashton, Metzler, & Associates has literally written the book on application delivery. His annual publication "The Application and Service Delivery Handbook" describes the methodology, techniques, and tools for meeting application users' needs. This year, he expanded his definition to include service delivery in order to address the new complexities presented by cloud computing models. 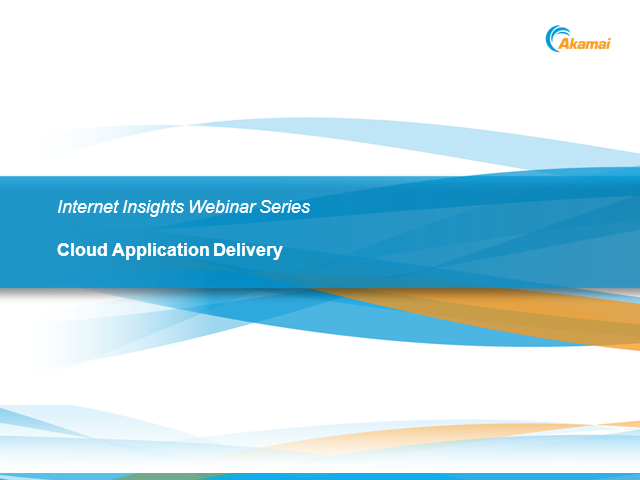 Join this webinar to hear Jim describe new challenges presented by the cloud. Learn how a new set of cloud networked services are emerging to addresses these issues by providing greater quality of service on the public Internet and beginning to bridge between the Internet and the WAN. Jim will also explore the best practices for sourcing and utilizing these services. - How to use cloud networked services to better deliver hosted applications to cloud users and cloud applications to WAN users.